When it comes to buying office workstations, it is important to choose them wisely. Different set ups require different kinds of workstations. 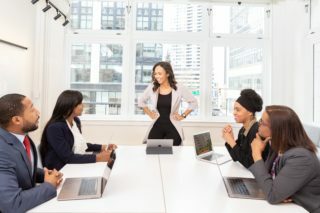 A company that workers who work out of the office mostly will have different requirements for the workstations from another company whose employees work in-house full time. The different tasks in the office require different types of workstations. A data entry clerk, for instance, only requires a small workstation that can fit a computer and it’s keyboard, and probably a few files. However, a draftsman will require a larger space. So, depending on the nature of the tasks bestowed on the workstation users, a comfortable workstation should be sort. You should also go for workstations that match with the company image. If your company is highly regarded, you may want to go for the more classy workstations. This helps to retain the company status and image. Again, depending on the contact your company has with clients, the workstations should fit in to protect its image. Your choice workstations should be adjustable. They should have adjustable heights and size of surface. This ability can be manual or electric (push button), with their acquisition depending on your budget. They should also be easy to move around with ease of assembly and dis-assembly. To top the list, your choice workstations should meet ergonomic requirements. 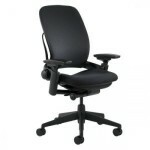 This simply means that they should be comfortable, stylish and practical, reducing fatigue to the user. Fatigue usually arises from discomfort and improper positioning. Together with these workstations should also be some matching ergonomic chairs. Finally, your financial strength and budget determines the workstations you can be able to buy for your office. If you have a big budget for this, go for the new, top of the class workstations. However, if your budget cannot allow, you can settle for some cheap but comfortable second hand ones. Where To Buy Office Workstations Here in the US, there are a number of stores where you can order your office furniture and workstations. The most convenient ones are the online stores. A good starting point is Amazon.com, where you also get to enjoy many discounts. 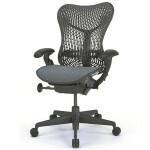 On Amazon, you can find both new and used office furniture. Another good online store is overstock.com. Besides getting large discounts here, you also get free shipping. 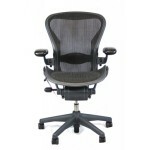 You can also order from FurnitureWholesalers.com and their sister company OfficeChairsExperts.com for matching workstation chairs. If you want to purchase offline, simply search for a furniture store near you. You may also ask your employees, business partners and friends for good recommendations. Remember, whether it is for your home office or your company’s office, your choice workstation should be comfortable, easy to put together, and should also be easy to upgrade. You may add filing cabinets, drawers and book shelves to boost it’s functionality. It should also allow wiring for your computer, telephone and other cabled accessories. On top of it all, the office workstations you choose should add to your company’s and employees image standards. 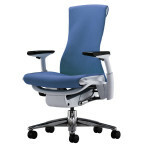 What To Look For When Buying Orange County Office Furniture?